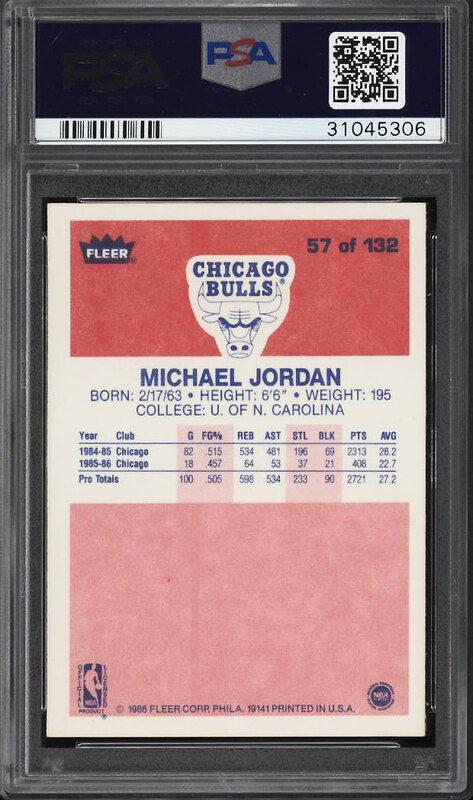 A jaw dropping '86 Fleer Michael Jordan rookie on the auction block this month and just a whisker from our PQ designation. The offered PSA 10 is exquisite throughout with undeniable GEM MINT qualities. Boasts near perfect 50-50 centering with deadly sharp corners and pristine edges. The surfaces are impeccable with bright color, stunning print and flawless registration. MJ is widely regarded as the greatest Basketball player of all-time and is perhaps the most recognized athlete in the world. 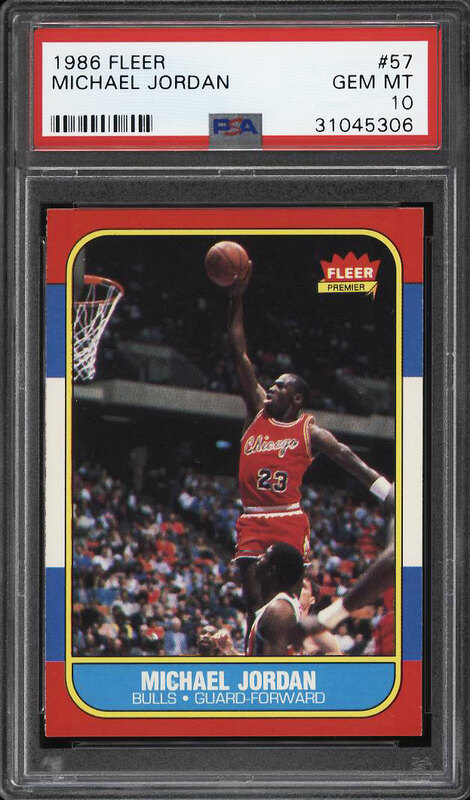 The value of '86 Fleer Jordan PSA 10s have risen over the last few months and represent a sound financial commodity. Deserving of serious attention. One of over 14,000 cards, lots and sets up for bid in our 6th Auction of 2018. Click on the link above to view the other PWCC auction lots.